Who are the Return to Freedom RTF 'Bookends'? 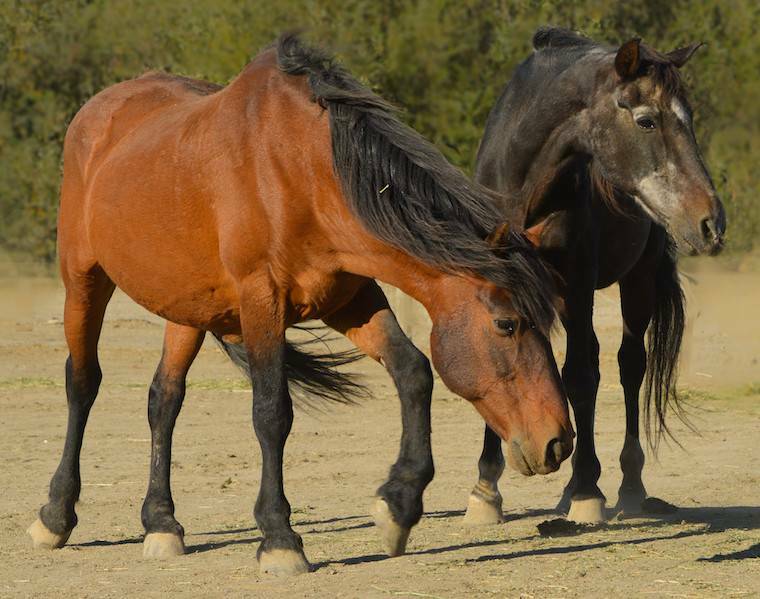 Some of the horses and burros here at RTF's American Wild Horse Sanctuary have already lived long lives, while others are at the beginning of their Life's journey. Old and young share this refuge, roaming the same pastures and hills, sharing generational history. We learn from all of them, and these very social beings learn from each other every day, all day long. We are all born at different times, opening our eyes on a world new to us, but already ancient in its history. The same is true for the horses and burros here at RTF's American Wild Horse Sanctuary. Some have already lived long lives, while others are at the beginning of their Life's journey. Old and young share this refuge, roaming the same pastures and hills, sharing generational history. We learn from all of them, and these very social beings learn from each other every day, all day long. The most senior resident is Peru, the youngest is Fuego. 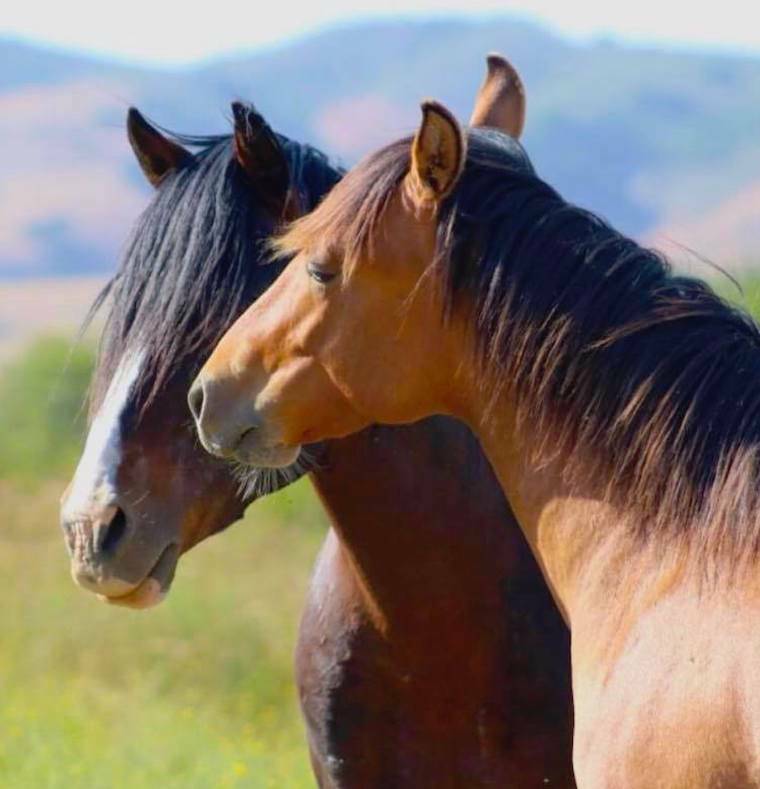 Although they appeared at different times and places, they are equally members of the Horse Nation which began so very long ago, right here on the North American continent. Young Fuego Dorado (Golden Fire), was born August 1, 2017, a day when a downed power line caused a small fire at the sanctuary. No animals or people were hurt that day, but the little horse gained a lifetime name which well suits his fiery spirit. Fuego is a charismatic and handsome Cerbat/Sulphur colt. 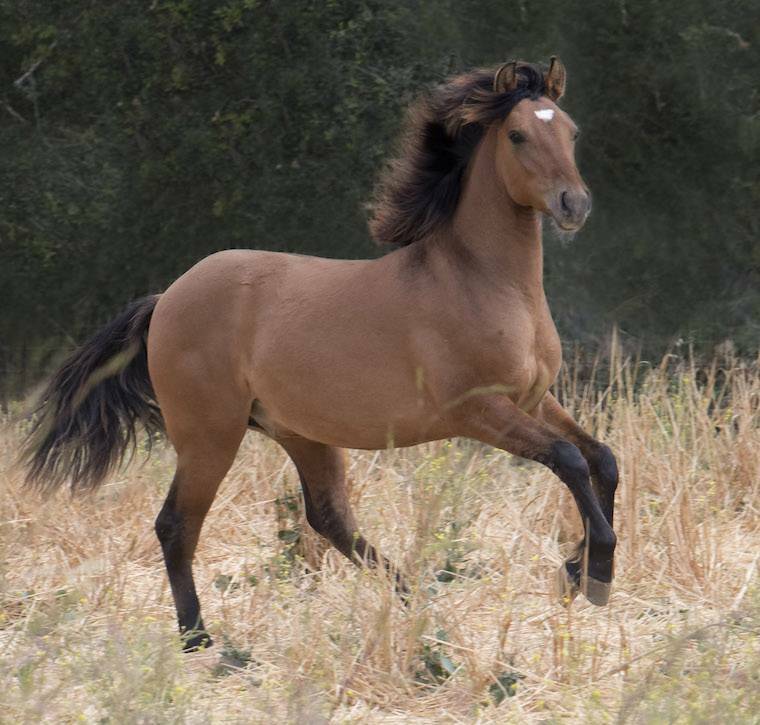 His sire (father), Amante, is the sanctuary's only 100% pure Cerbat, originating with the Spanish horses that were "liberated" by the Apaches. Fuego's mother, Stella, is a beautiful grullo (steel gray) Sulphur mare who is part of Amante's band of mares. Although we use fertility control, Stella is a non responder and every few years she may foal. This intelligent youngster has a strong personality and is very curious about everything around him. He's becoming more mischievous by the day. With his sister Amber, he is the insistent little brother, always trying to get her to play. But most of all he likes to pester his amazing father, Amante, who spends a lot of time playing with Fuego, preparing his son to one day use these same antics in battle with other stallions when competing for mares and territory. Fuego absolutely loves people and attention. He likes being caressed all over his face, and like his dad Amante, likes to rest his head on your shoulder. Although he has moments of rambunctiousness, when he is around people he has a very serene, calm disposition, again very much like his father, who seems to thoroughly enjoy his son. Then there is old gentleman Peru. Peru is approximately 41 years old. A Peruvian Paso, he was living here when the ranch was purchased by the DeMayo family in 1998. Peru was going to be taken to the local auction by the sellers, but we said "no way!" We can only imagine all he has seen in his long life, which continues here happily, only with your support. Peru has played an important role at RTF. Along with Serena, a beautiful Hart Mountain mare, he helped to educate two orphan foals, Briante and Dolly, in important herd etiquette. Thanks to Peru, they got a solid start in their young lives. It's now up to us and our loyal supporters to make sure their lives are long, secure and happy. I hope you'll help, as you always have in the past. Our loyal Peru has also helped gather injured horses, and for many years was a perfect teacher for the kids that visit RTF, always reliable and safe, letting them groom him and get up close to a horse, often for the first time in their young lives. The other day, Peru even picked up a speedy little trot to get to his special food, a welcome sign in a horse his age. He is typically upright and at attention, radiating dignity. 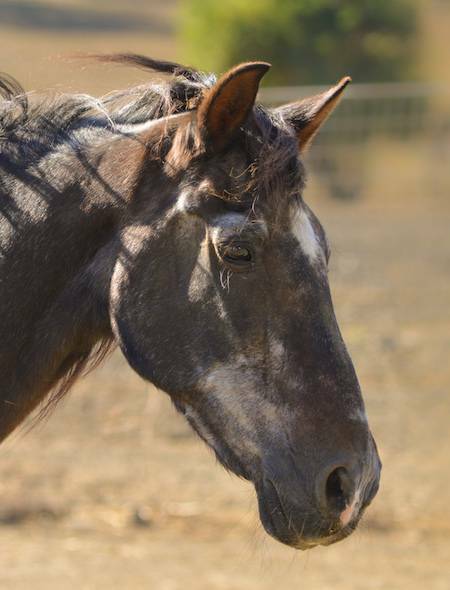 He still enjoys being scratched and brushed, but was most devoted to his senior pasture mates like Cayuse, the first stallion to arrive at Return to Freedom's sanctuary with his harem band- from Hart Mountain Oregon, when the U.S. Fish and Wildlife Service was removing all wild horses in 1998. Sadly, since we began writing this story, Cayuse, now in his thirties, passed away of natural causes. 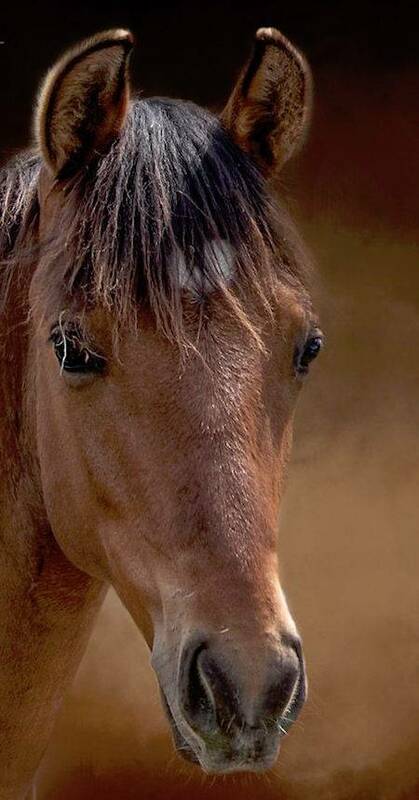 It is always sad to lose any of the resident horses or burros, but when a a foundational member of our sanctuary leaves, all the memories are so bittersweet. Musing upon the lives of the horses always leads to thinking of our own…and how as the horses inspire us as symbols of freedom and independence, at the same time they depend upon us to fight for their right to keep those treasures. As I look out at these horses, I'm amazed at how young and old, horse and human, have come together to accomplish this vital mission, and that you found and joined with us to make it happen. There is no doubt we could not do it without you—I hope you will help today to keep it going. I wish there were words beyond just "thank you", that meant much more than that. I hope you know how deeply all of us at Return to Freedom appreciate your help—we simply cannot provide this kind of care without your support. Here's to the wild ones and those, like you, who stand up for them.